The biggest celebration of Indian Cinema, IIFA Awards 2018, returns to Amazing Thailand for the 19th edition, exactly after a decade as Bangkok gets a chance to get closer to the stars and experience the potpourri of the Indian movie culture. Hindi Cinema’s finest talents, global dignitaries, world media, and cinema enthusiasts from across the globe will descend on this vibrant metropolis as the spectacular extravaganza gets underway at the Siam Niramit, the crowning jewel in Thailand’s heritage, art and culture. From Arjun Kapoor to Varun Dhawan, Shraddha Kapoor to Kriti Sanon, Ranbir Kapoor to Karan Johar, many A-list celebrities are gonna take over the stage. 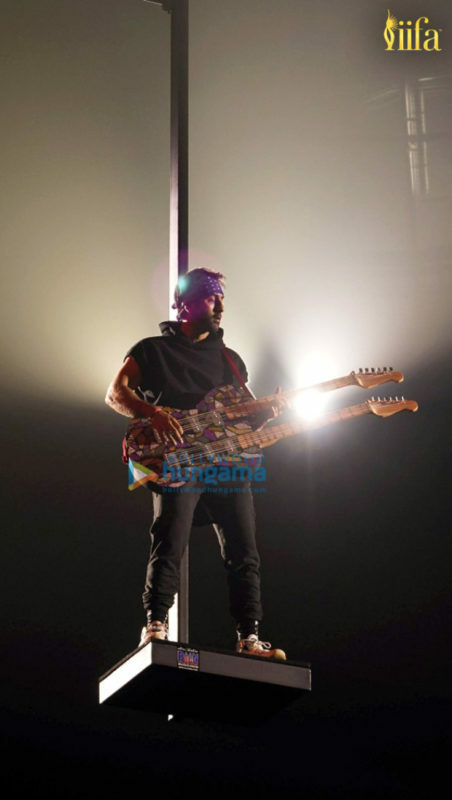 Ranbir Kapoor, who is awaiting the release of the highly anticipated film Sanju, is ready to return to the grand stage of IIFA. He reached the venue a day ago and straight away headed for the stage rehearsals. 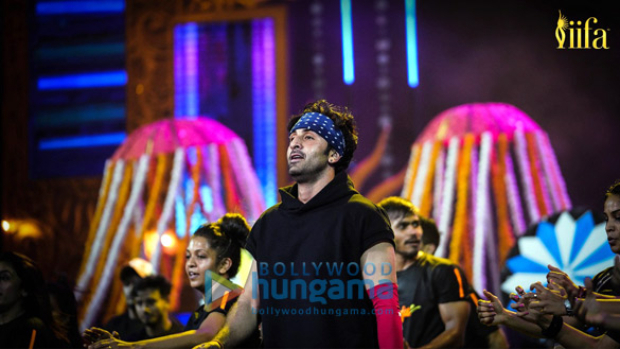 Dressed in athleisure wear with a bandana on his head, Ranbir looked pretty pumped about his performance. 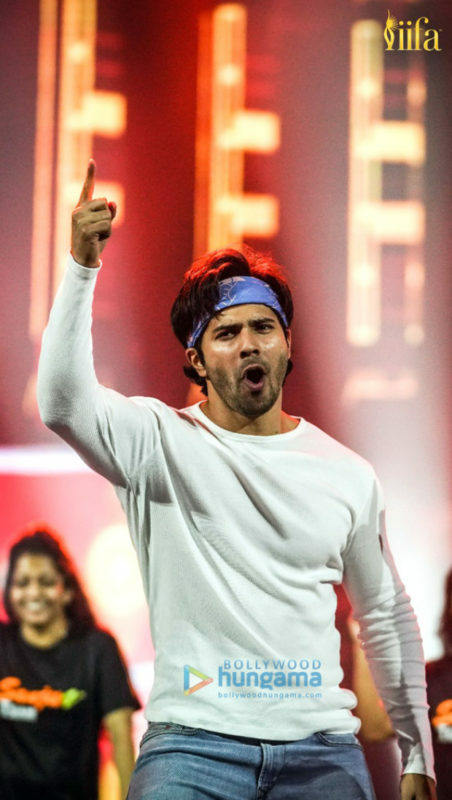 Varun Dhawan, too, is ready to set the stage on fire with his performance. He arrived in Bangkok earlier this week with Arjun Kapoor. The actor was seen last night at the stage rehearsals where he seemed super excited for his main event night performance. Arjun Kapoor, too, is returning to stage after a long time. He will be performing on his hit tracks ‘Tune Maari Entriyaan’, ‘Baarish’ and ‘Chavanprash’ at the IIFA night. He will be grooving with Kriti Sanon and Shraddha Kapoor. Shraddha Kapoor will also be performing on some of her hits along with some of the previous co-stars. She has been rehearsing a lot for her act and looks super stoked about it. 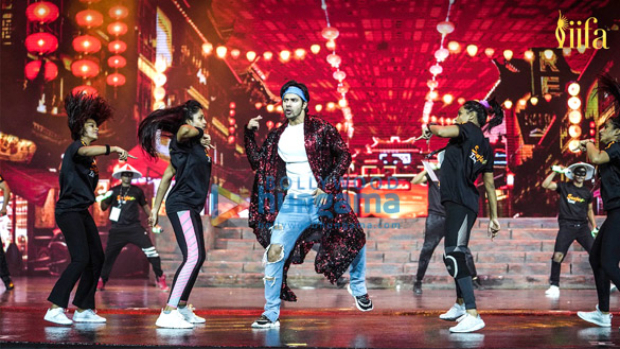 Some of the other performers include Kriti Sanon, Rekha, Bobby Deol and Kartik Aaryan who are ready for the IIFA 2018 night. Conceptualized and produced by Wizcraft International and supported by the key members of the Indian film fraternity, IIFA is the most appreciated South Asian film academy and a global platform that gives the Indian film fraternity an opportunity to reach audiences in international territories. The alliances made via the platform of IIFA provide huge benefits and gain to India and an equally important objective is to create similar benefits in the host country. The aim is to establish a system of mutual benefit to both India as well as the host destinations by boosting tourism, economic development, trade, culture, cross-border investments and film co-productions. IIFA Awards 2018 will take place on 24th June 2018 at the grandiose Siam Niramit Theatre, Bangkok. IIFA Awards 2018: Lo Behold! Shraddha Kapoor looks every bit of a Disney princess in pink!